April this year, as the World Changers Summit came to a close in Windhoek, Namibia, Kofi Annan called on youths in Africa to deny aging politicians access to power. He told them to take it instead. He also had stern words for the old men leading Africa. “African politicians must learn to retire at a minimum age of 70 years, but rather we have packed old men in our leadership. How can we move forward? Some are even above 80 years and still ruling,” Mr Annan said. Four years before Mr Annan’s comments, the founder of the Mo Ibrahim Foundation, Mr Mohammed Ibrahim, while speaking at an African Development Bank (AfDB) funded summit in Kigali in 2014, said that Africa had been reduced to a laughing stock because of its insistence on holding onto aging leaders. “You see people at 90 years (old) and about to start new terms; you guys are you crazy or what? We see people in wheelchairs unable to raise hands standing for election. This is a joke; you are free to laugh…the whole world is already laughing at us,” Mr Ibrahim said. 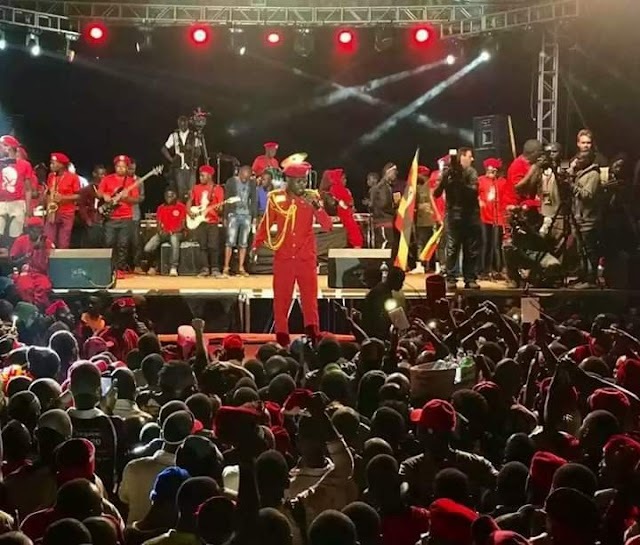 The debate on age of leaders is not new to Africa, and Uganda is still in the middle of one following the passing of the constitutional amendment to remove the 75-year-age limits late last year, which has been challenged in court. Twenty out of the continent’s 57 heads of government are above 70 years of age. That’s nearly half. These include Presidents Ismaïl Omar Guelleh of Djibouti, 71, Isaias Afwerki of Eritrea, 72, Yoweri Museveni of Uganda and Ibrahim Boubacar Keïta of Mali, both 73, Omar al-Bashir of Sudan, Nana Akufo-Addo of Ghana, Denis Sassou Nguesso of the Republic of Congo and the Head of the House of Representatives of Libya, Aguila Saleh Issa, who are 74. Others are Muhammadu Buhari of Nigeria and Prime Minister Barnabas Sibusiso Dlamini of Swaziland and Thedore Obiang Nguema Mbasogo of Equatorial Guinea who are 75 years of age. Presidents Emmerson Mnangagwa of Zimbabwe, Evaristo Carvalho of São Tomé and Príncipe, Hage Geingob of Namibia and Alassane Ouattara of Ivory Coast are 76, while Peter Mutharika of Malawi is 77 years of age. The oldest are Alpha Condé of Guinea who is 80, Abdelaziz Bouteflika of Algeria who is 81, Paul Biya of Cameroon who is 85 and Beji Caid Essebsi, President of Tunisia (2014–present) age 91 years. Mr Beji Caid Essebsi only became Tunisia’s first directly elected President in December 2014 when his Nidaa Tounes political party won the elections. It is not clear whether he will contest again.